This compilation draws together three very special guided meditation collections that focus on personal development. 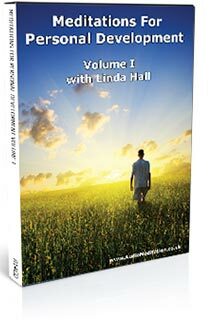 Designed to build your inner resources and help you feel more at one with yourself and your life. Each collection focuses on developing specific resources fundamental to health and well-being. Meditation is probably the oldest self-reflective practice known to mankind. Many of the most popular psychology processes widely used today in orthodox and complementary health-care have their roots in meditation’s rich traditions. The beauty of using meditation for self-development is that its holistic approach goes at the level and pace that’s right for you. Just as you live your life with the whole of you, so meditation helps you explore yourself and your relationship to life through all of your faculties: your senses and feelings as well as your mind. 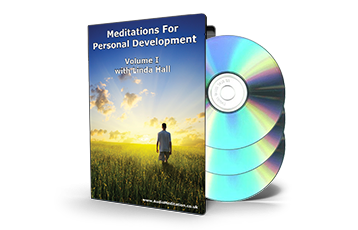 Meditations For Personal Development are three collections we’ve chosen from our store that have been carefully crafted to help you develop some of the most important basic inner resources and abilities to support a fulfilling, happy and healthy life. In an ideal world these would develop within us naturally, but most of us need some help along the way. Meditation and visualisation techniques are gentle yet powerful ways to experience desired states, and will train your mind and body to go there again. Looks at the tendency to feel that time rules you or that you never have enough of it, gently helping you to change your relationship with time so it causes you less stress. Explores what’s needed in order for you to feel good in yourself and about yourself, offering opportunities to help you develop this ability. Helps you build the foundation stones of being able to trust in yourself and trust in life generally.